Russia must take plenty of action and change course on Ukraine as well, the economist argues. 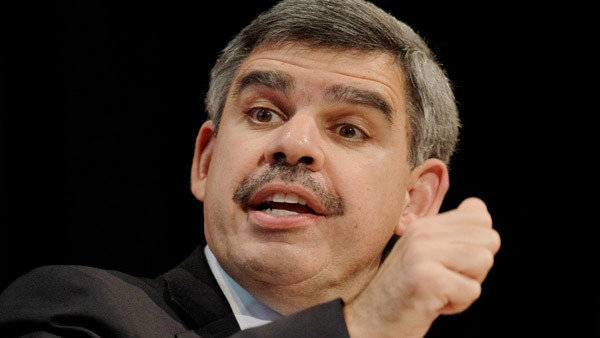 Mohamed El-Erian is a contributor to Bloomberg View. Veterans of crises in emerging markets can name three issues in assessing how quickly and decisively Russia overcomes its economic and financial dislocations. The country needs to deal with at least two of them and preferably all three. Right now, it is on the way to meeting just one. Russia’s immediate first task is to stabilize the value of its currency, ease pressures on its international reserves and restore normal functioning of its banking system. The Russian government, together with its central bank, has made progress on this score by substantially raising interest rates, injecting liquid assets into its banking system and working to persuade Russian exporters to surrender more of their dollar proceeds. Yet measures are only temporary stabilizers, not long-term solutions. They need to be quickly supplemented by cuts in the government budget and the adoption of pro-growth measures that alleviate the dangers of what is already an ugly outlook. As the reality of the situation sinks in, Russian officials will likely take more comprehensive measures. This first condition is necessary — though insufficient — for restoring economic and financial calm. Russia also needs help on two other fronts, and this is where the situation gets tricky very fast. The second issue relates to Russian’s operating environment. There is little to suggest that oil prices will rebound quickly from their stunning decline — almost 50 percent since June. As such, Russia will suffer a meaningful fall in foreign earnings and also see less direct outside investment to support its energy sector. Meanwhile, President Vladimir Putin is giving the West no reason to lift sanctions that have gradually and effectively put pressure on the Russian economy. The third task relates to Russia’s access to an “external balance sheet” — that is, a large source of outside funding. Most emerging economies in crisis — be they in Africa, Asia, Eastern Europe or Latin America — have required either the reality or the perception of sizable external financing to support adjustments in domestic policies. This has normally come in large part from an International Monetary Fund program that, in addition to providing direct financial support, brings in other official funding and private capital. Given the tensions with the West over its interference in Ukraine, Russia is miles away from securing help from the IMF or other credible outside sources. Instead, it has no choice but to rely on its own $400 billion buffer in international reserves to meet multiple objectives. The aims include stabilizing the currency, securing payments on its foreign debts, restoring liquidity to its banking system, alleviating the effects of a huge contraction in imports, slowing capital flight, and securing refinancings and new loans. It is highly unlikely that all these objectives can be met at the same time without dangerously depleting reserves. The experience of prior emerging-market crises suggests that to restore durable economic and financial calm, Russia needs to do a lot more and not just on the domestic policy front. It would need to change course on Ukraine, open the way for constructive re-engagement with the West, and secure external funding. This is quite a list. Pending its satisfaction, we can expect alternating periods of financial dislocation and temporary calm. They will be accompanied by credit-rating downgrades, a worsening economy, higher inflation, controls on imports and capital flows, and shortages. In other words, Russia faces an especially dark winter.